I’ve written about Coral Mustang’s Rose before, over a year ago. You can read those notes here. However, when I was out in California for the Wine Blogger Conference, I finally got to meet Penny, the winemaker and owner. We’d been trying to catch up for quite some time now, but always kept missing her. I loved the bottle of Rose that I got from WineQ so much, that Penny brought one for me to take home with me! 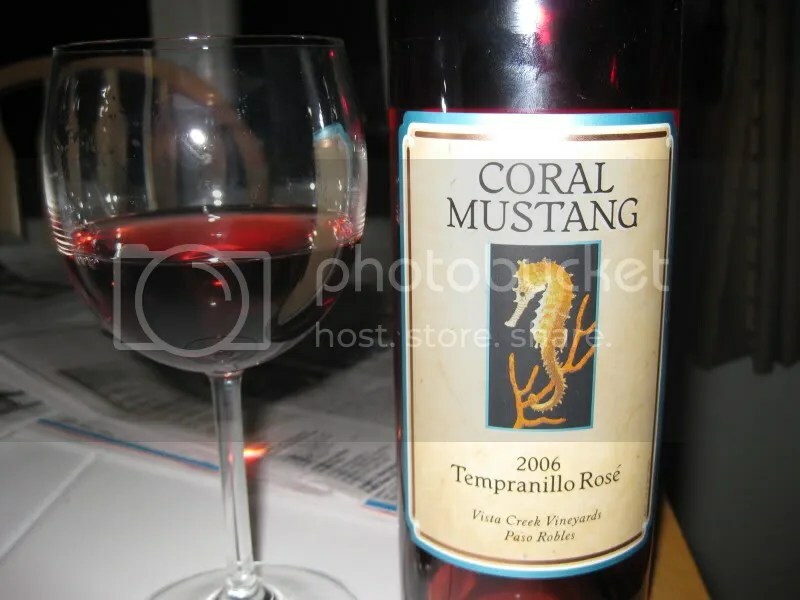 The is her 2006 Coral Mustang Tempranillo Rose. I also just bought 2 cases of the 2005, that’s how much I love this Rose! It has a real cork closure, clock in at 12.5% alcohol by volume, and can be purchased for $14.99. I really just adore this Rose. I intend to serve some of the 2005 with my Turkey Dinner on Thursday. I think it will be well received, and I already know Matt loves it! On the nose I found candied strawberries, bananas, roses, cranberries, raspberries, slight spice, and racy citrus. I enjoy the very fruity qualities in the nose on this Rose. In the mouth I got flavors of red apples, raspberries, lime, cranberry, tart fruit, raspberry jello, and a nice hint of spice on the back palate. It’s even better than I remember! I’m not really one for Thanksgiving wine matching posts, but you may have noticed that I note around this time of year if I think a wine would work well with Thanksgiving dinner. 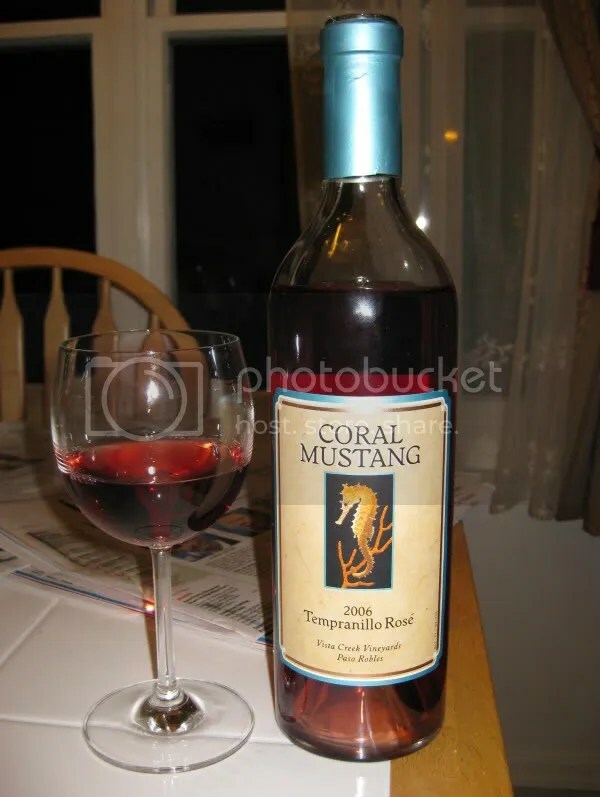 The Coral Mustang Rose gets my stamp of approval for Thanksgiving for several reasons. It’s budget friendly. You can get the 2005 for $12 a bottle and the 2006 for $14.99. I tend not to want to serve super expensive bottles of wine with Thanksgiving dinner, because really, at Thanksgiving, the food is king, and there’s so much of it and it’s so diverse, that I don’t think there’s a “perfect” wine to go with it all. I look for wines with refreshing acidity, good structure, and lighter fruit flavors. The 2006 Coral Mustang Rose certainly fits that bill!